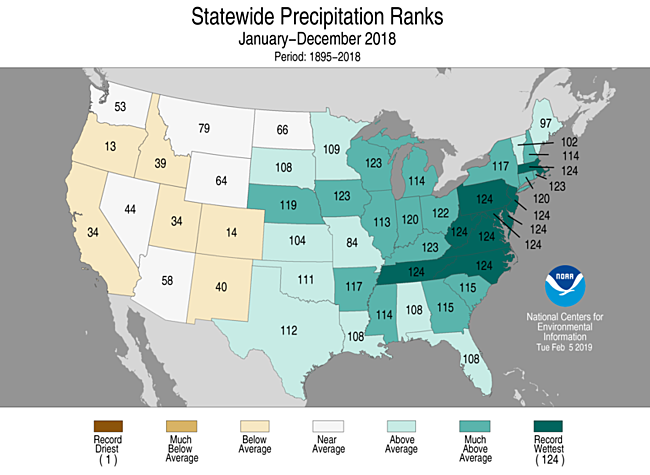 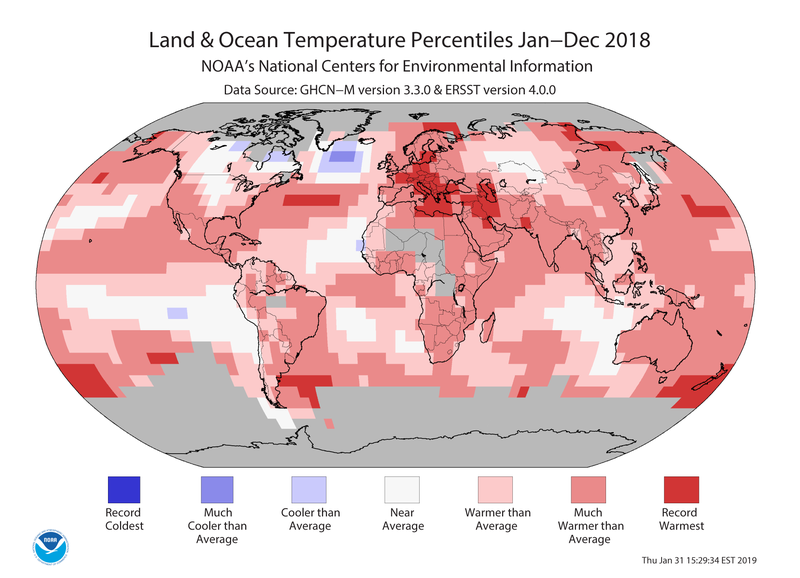 [NOAA] Earth’s warming trend continued in 2018 as persistent warmth across large swaths of land and ocean resulted in the globe’s fourth hottest year in NOAA’s 139-year climate record. 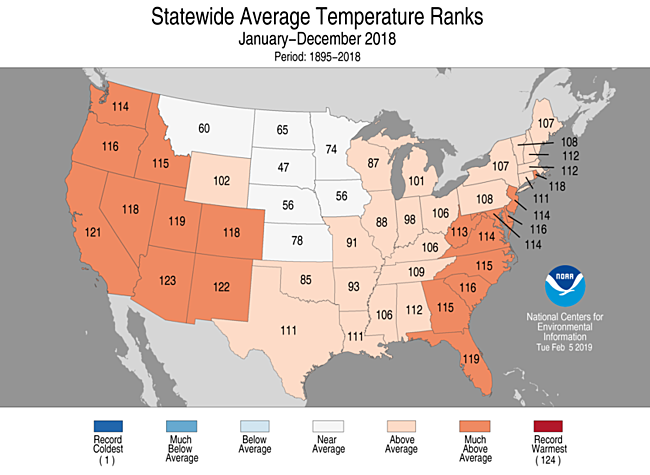 The year ranks just behind 2016 (warmest), 2015 (second warmest) and 2017 (third warmest). 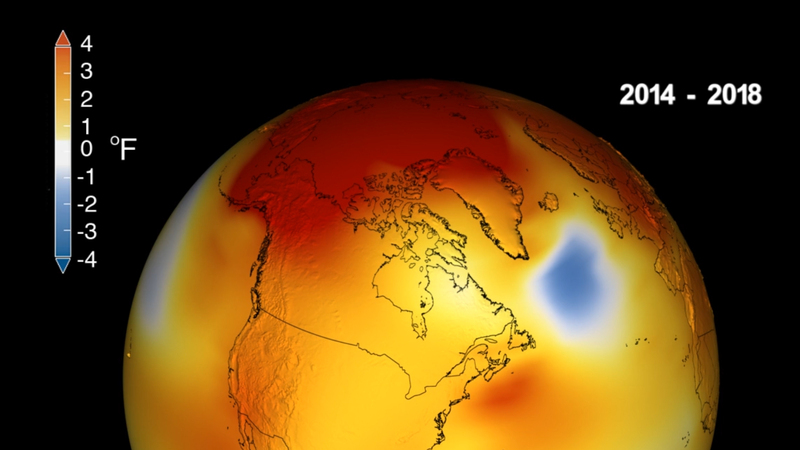 In separate analyses of global temperatures, scientists from NASA, the United Kingdom Met Office and the World Meteorological Organization also reached the same heat ranking. 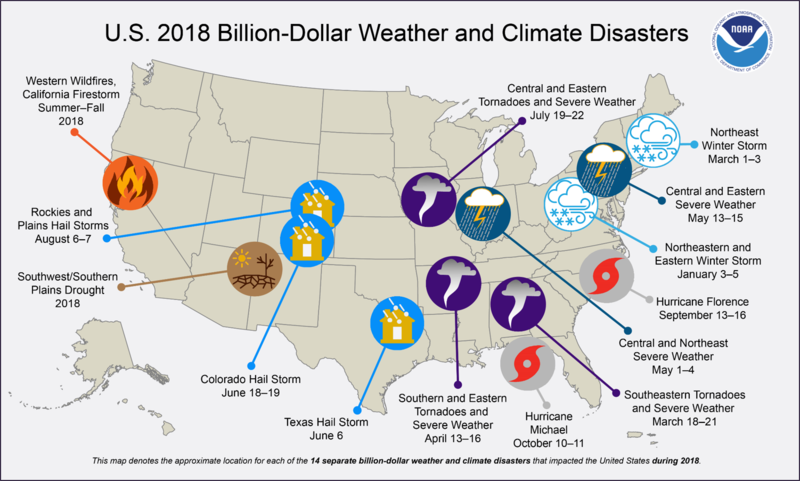 You can read the full report from NOAA’s NCEI 2018 global climate analysis, listen to the 2018 weather and climate conference call, and the U.S. billion-dollar weather and climate disasters.